When Steven (name/details changed) turned 18 he realized, like many transitional aged foster youth, that he was quickly running out of options for a secure place to live, a steady nutritious food source, and support services he relied on for most of his life in foster care. When basic needs such as shelter and food go unmet or are insecure it seems like college typically gets bumped pretty far down on one’s list of priorities. Not for Steven. He knew a college education could provide expanded opportunities and greater financial security. So he set his sights higher and began applying to community colleges throughout the San Diego area. As a bright young man who excelled in high school despite facing the unique set of challenges that come with being a foster youth, Steven was accepted to the majority of schools where he applied. Steven did not let the almost yearly moves to different foster homes and new schools deter him, nor the staggering statistic that only 3% of foster youth graduate from college. Steven was able to obtain a strong financial aid package which provided funds to cover most of his tuition, books, and supplies. However, with the majority of community colleges not providing any student housing, Steven was left without a secure place to live. How would he balance the demands of being a full time student while working two jobs just to meet his basic needs? 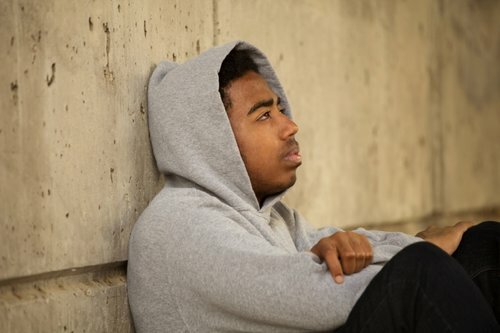 Transitional age foster youth approaching 18 are often at-risk of falling off of a figurative cliff – going from relatively secure housing, food, and support services, into an abyss of being on their own with little to no money, no access to resources, and no real opportunity. Steven knew these odds, but through connecting with a range of nonprofit organizations and community resources such as Wesley House Student Residence, he was able to advocate for himself to find a home. That effort enabled him to pave a path to success as a full time student who also holds down two part time jobs. Steven is currently on track to transfer to a 4 year college. It is often difficult for people to imagine our most basic needs such as food and shelter not being a given in our lives. Steven’s resilience will continue to serve him well. However, our County leadership must make a commitment to providing increased access to resources and support services for those like Steven, which will serve our entire community well, too. Learn more – Podcast Episode 2: What the County Actually Does? Today is International Women’s Day – a day to celebrate the accomplishments of women worldwide and #PressforProgress. While strides have been made towards gender equality, we still have a very long way to go. The World Economic Forum’s 2017 Global Gender Gap Report shows us that gender parity is over 200 years away. This is unacceptable and it will take all of us to accelerate the change we need. .
My campaign has focused on the critical need to support our region’s children and our senior citizens. On their own, these are two very important issues about which I am passionate, but they are much more than that. These are also critical issues for the equal rights of women. According to the Family Caregiver Alliance, approximately 66% of all caregivers are women. This means that women are more likely than men to sacrifice their careers and dreams to care for their children or their parents. This social phenomenon has placed women at a huge disadvantage. According to the Family Caregiver Alliance, 29% of women forgo a job promotion because of their role as caregiver, 33% decrease their work hours, 16% quit their jobs, and 13% retire early. While these are personal decisions, societal pressures and expectations of women to care for others are significant reasons why women sacrifice so much for the ones they love. Providing high-quality, affordable and accessible child care and stronger supports for seniors would move the San Diego region more quickly towards the equality women deserve. Providing these resources would help empower women by restoring their time and increasing the financial stability of many homes. Similarly, placing more economic and social value on caregiving by paying reasonable wages to qualified individuals would help change perceptions around the idea of caregiving. I recognize my privilege as a man in our society. 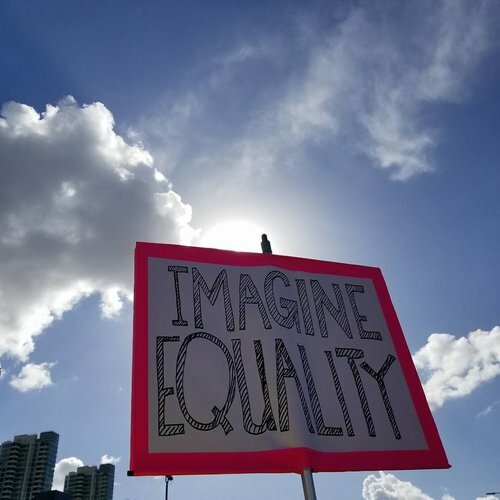 It is a privilege that comes with an obligation to fight for equality. Our campaign is committed to providing greater leadership that will help our children and our region’s seniors. This leadership will also support moving towards gender equality and true opportunity for women and girls in our society. My team has been working very hard for months. So, to celebrate one team member’s birthday and thank them for showing up every day to help me fight for a better, more inclusive San Diego region we went to see Marvel’s new movie Black Panther. The movie was based on the first African American superhero comic book that made its debut in 1966. There are plenty of pieces online about the importance of positive depictions of Black characters in film and especially in earlier eras of American pop culture, so I won’t cover that ground. I did find a few things particularly noteworthy about the movie and I thought I’d share. My first observation is about Shuri. She plays the tech-savvy sibling of King T’Challa (the Black Panther). She isn’t needlessly sexualized nor portrayed as surprisingly bright or unusually gifted – which is to say the story doesn’t make her ability to achieve seem at all out of reach. 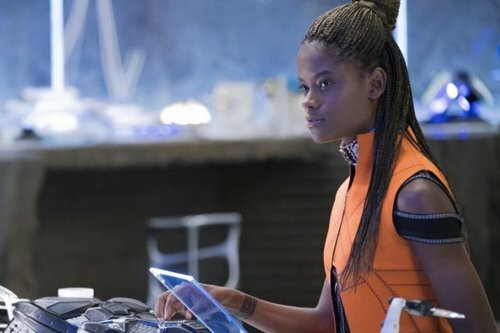 She is an intelligent, intellectually curious young person who shows how cool it can be to be “into tech.” Shuri was the hero of the first major car chase of the movie and even when the outsider CIA agent was flying a spacecraft to protect the world, he was doing so using the tech she created. Nice job, Team Panther. The second big nod relates to the first for me. None of the women needed saving, none were scantily clad, and there was nothing particularly out of place about the elders, the general, or Shuri’s character all being women. There were men in leading roles, to be sure, but the movie didn’t feel to me to be nearly as gender-tilted as these can frequently feel. I’m a man so probably you should take my perception with a grain of salt, but that’s how it felt to me. Finally, for those who stayed past the credits to the final scene, we were able to hear two very useful reminders. King T’Challa made the important point that we are generally better off building bridges with one another rather than barriers to separate us. As a San Diego native who is excited about Mexico’s role in our shared culture and heritage, this is something I’m happy to see at our own international border – where we quite literally have built a bridge between California and Mexico. The final note of the movie was something I am always glad to hear people reiterate. Our differences, no matter how deep or strong they feel, are never as deep nor as strong as the ties that bind us. Many people may recall Queen Bey’s nod to the Black Panther Party for Self Defense in her Super Bowl performance a few years ago. What is far less well known in many circles is the voting rights connection to the Black Panther woven into the title of this post that pre-dated both the Marvel comic and the more well-known efforts led by Huey Newton and Bobby Seale. In 1966, the same year that Marvel created the Black Panther character, the Lowndes County Freedom Organization was created in Alabama to create for African Americans the opportunity for a voice in political leadership. I am running for the San Diego County Board of Supervisors with the knowledge that my opportunity to represent our region’s most diverse district would not be possible without the sacrifices made in Lowndes County and many other communities. As someone committed to our region’s youth, I am grateful for a movie that can help them believe it is okay to be excited about science and be excited to see images of humility, grace and strength in the characters of this movie. It was a fun movie with great action scenes and a classic good versus evil plot line, but it was a quite a bit more and I’m glad we took some time out to watch.